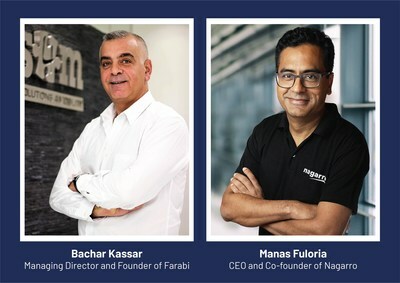 DUBAI, UAE, April 4, 2019 /PRNewswire/ — Nagarro, a global provider of high-end technology services for digital innovation and breakthrough performance, has acquired a controlling position in Dubai-based Farabi Technology Middle East LLC and its subsidiary Solutions 4 Mobility LLC, both award-winning technology companies focusing on digitalization and mobility across the GCC region. Digital transformation is high on the agenda for the Middle East as it transitions to a knowledge-based economy. For over two decades, Farabi has been driving business process and application integration for leading companies in this region and has become a key technology enabler in domains such as government, banking, insurance, healthcare and transportation. Its subsidiary, Solutions 4 Mobility, has established itself as one of the leading digitalization and mobility partners for forward thinking organizations. Nagarro, the global services division of Munich-based Allgeier SE, drives technology-led business breakthroughs for industry leaders and challengers. When companies all over the world want to move fast and make things, they turn to Nagarro. Today, Nagarro has more than 5,000 experts across 21 countries. Established in 1993 in Dubai/UAE, Farabi Technology Middle East LLC is a leading integrator for business process and integration and a service provider for Enterprise Application Integration. Farabi’s subsidiary, Solutions 4 Mobility LLC, is an award-winning digitalization and mobility partner in the mobile banking, automotive and government space.